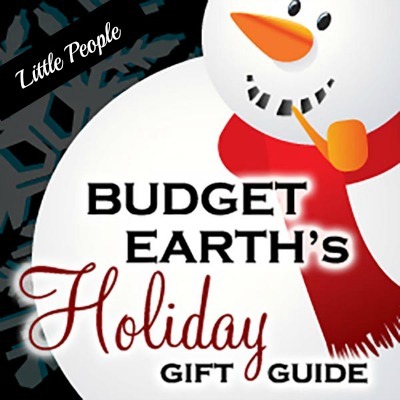 When it comes to gifts, this has been our go to for children in our family for years. To me, nothing is more important than a foundation in reading and if there was one company that teachers children to love books, it is My First Reading Club. 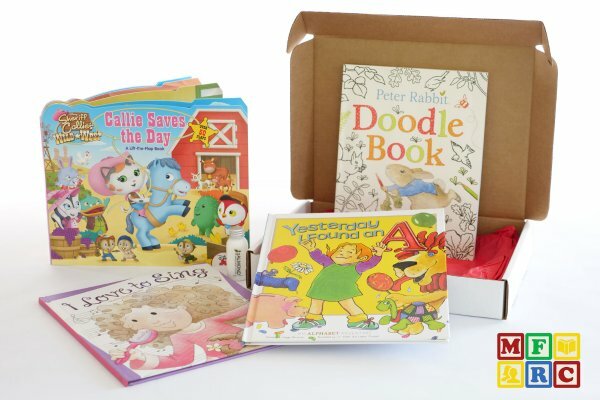 This subscription box service includes 3 to 4 age appropriate hardcover books in every box, as well as an additional activity box in every shipment. Mom also gets a cute little gift in the box as well. Best of all, with 5 distinct age groups, you can find the right groups of books for child’s age level. We personally pay for two subscriptions, one for young readers for Tidus who is on the newborn to two year old plan, and one for my niece Sophia, who is on the Developing Readers 9 to 10 year old plan. Both families loving getting these books each month and are excited to get the books in the mail. When we actually had to stop for a month or two, there was mass disappointment (and begging from my 8 year old niece at the time). For the price and quality of the books, we consider My First Reading Club a must for parents and people like us looking for adorable, educational gifts for children in the family. You can learn more about this awesome reading subscription box and the age ranges here. Looking for a beautiful ‘doll house’ for someone special this holiday season? 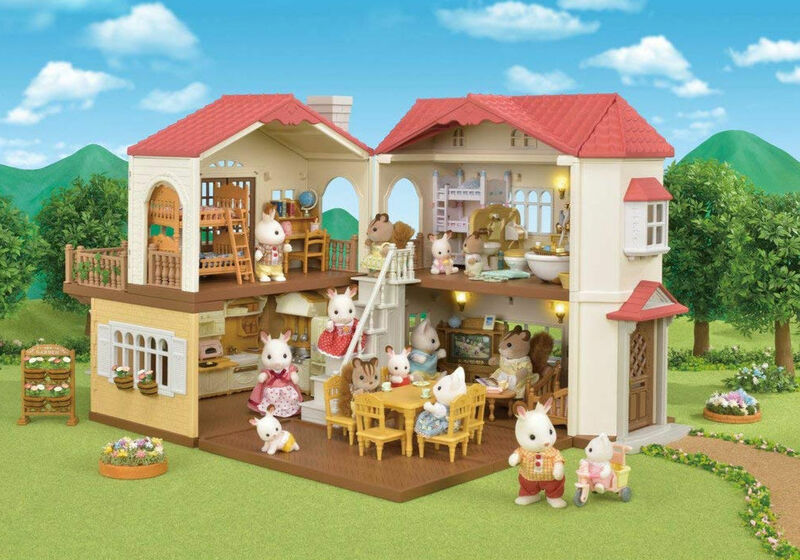 If so, we think you will love the Calico Critters Red Roof Country Home. Part of the original Calico Critter village, this beautiful, specious home features four rooms, a terrace, staircase, and lights for your critter family to enjoy. As well, the special holiday gift set also includes furniture, accessories, extra lights, as well as Heidi & Bell Hopscotch Rabbits (the normal set doesn’t include anything other than the house, staircase, and lights). With all the accessories and the house itself, children can build various layouts in a 90˚angle, 180˚angle or closed setting. For an even grander house, it can be combined with this house to create a mansion for your critter family! Check out our full review of this adorable house here. Looking for an adorable toy for a boy or girl who loves trucks in your family? If so, we think you will love the American Plastic Toys Gigantic Recycling Truck. 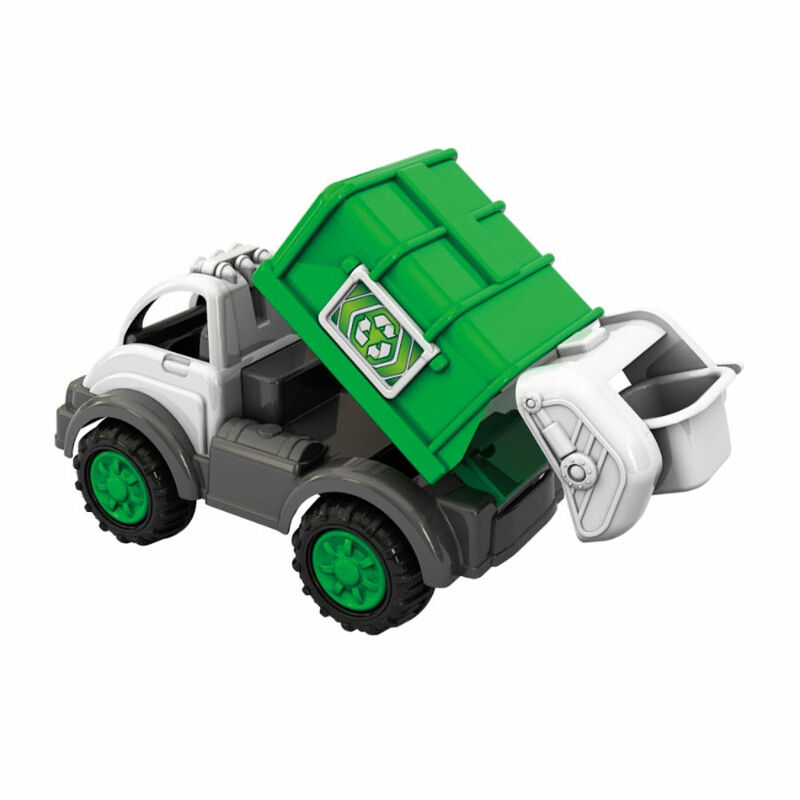 This absolutely huge, over two foot long truck is designed to haul off even the biggest recycling job, with big rugged wheels, tilting bed, and sorting bins, kids can use their imagination to deal with any job. With the toys rugged design and huge size, it is perfect for little ones to truly explore the world around them, be it rocks outside or loading their favorite toys to be recycled at the toy box! Check out our full review of this toy here. When it comes to dragons, no dragon pair for kids is more popular than DreamWorks Dragon’s dragon duo – Hiccup and Toothless! 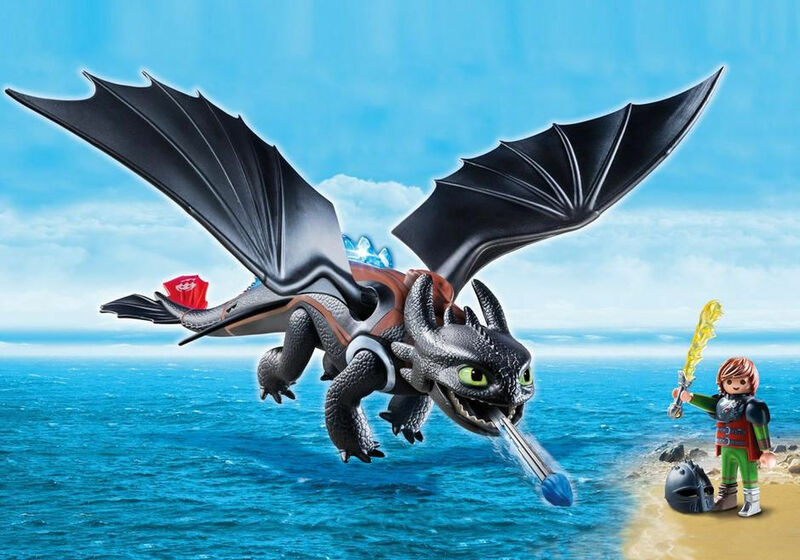 This cute set has everything kids need to have a fun adventure with Toothless, including being able to shoot a blue fire dart from Toothless’s mouth at enemies. As well, Toothless has illuminating back spikes, making it easier for him and his friend Hiccup to fly through the night, protecting Berk and their dragon friends. This set includes Hiccup, Toothless, blue fire dart, flame sword, helmet, and other accessories. Recommended for children 4 and up. It also pairs well with other toys in the DreamWorks Dragon’s line, which you can learn more about in our review here. Do you have a little one in your family who absolutely LOVES dinosaurs and adventure? With the popularity of Jurassic Park again, many kids are loving the thought of going to explore and have have adventures learning about dinosaurs. 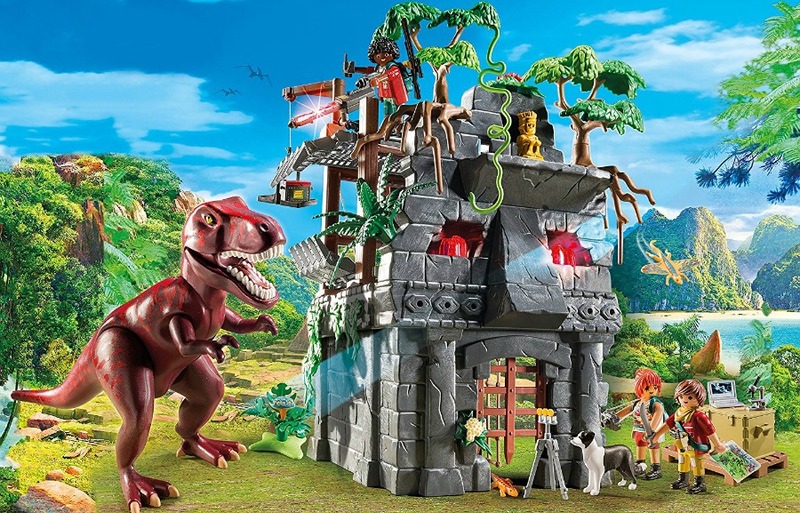 When it comes to interactive toys designed for adventure, nothing beats the Playmobil Hidden Temple with T-Rex. . It had everything kids needed to pretend to be archaeologists, from computers to various tools that they would need through their ‘exploration’ of the temple, which has glow in the dark areas on the walls where kids can see secret messages and designs as they ‘explore.’ It even has a functional pulley to help get tools and equipment up to the top of the temple. Of course, kids also have equipment to help protect against the scary t-rex, including a laser! For the money, this toy set has so much for kids to play with it, making it multiple adventure toys in one for kids. Best of all, it is great for boys and girls alike, making it a great gift to have under the tree this Christmas. You can check out our full review here. 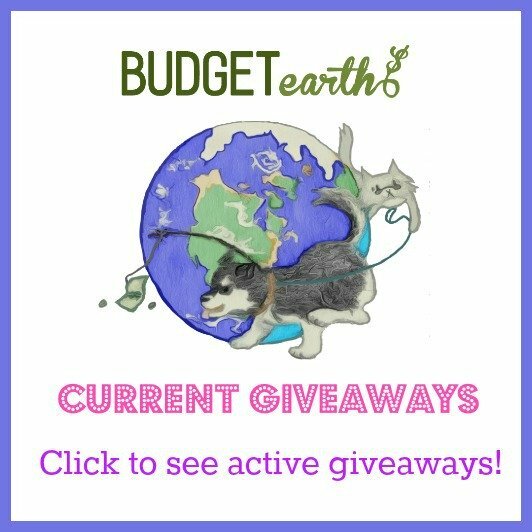 Looking for an adorable gift for children who love animals? 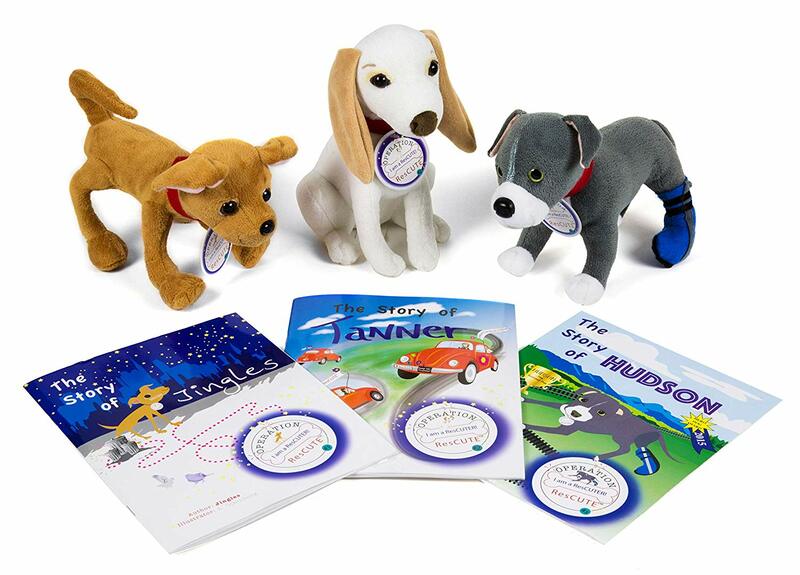 Make them smile with an Operation ResCute gift set, featuring a cute stuffed pup and a book about a real life dog that was rescued. The main purpose of these sets is not only to tell the story of each dog, but to teach a new generation of kids that they should consider adopting from their local shelter or rescue. With only 30% of pets coming from shelters and over 2.7 million healthy pets remaining in shelters each year, adoption should be considered! To help the cause, all proceeds from this cute set go to helping rescue animals. You can take a look at each of the three sets here.